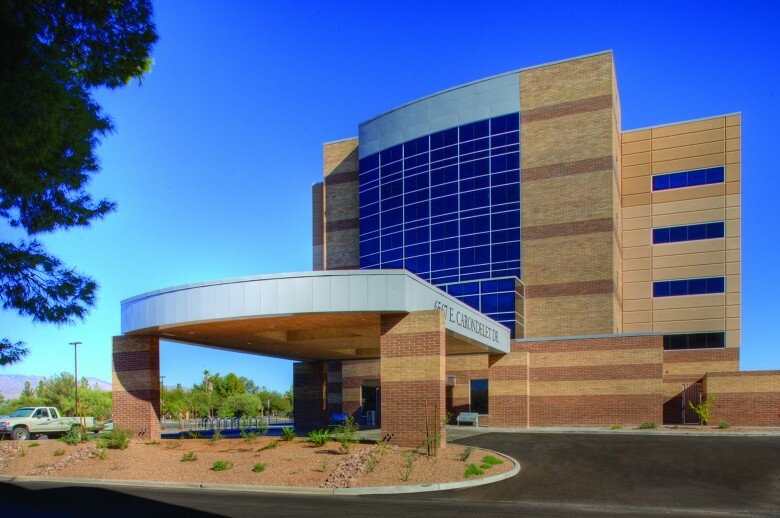 This new 15 million dollar, 103,000 square foot medical office building is located on the 52 acre St. Joseph’s Hospital Campus in Tucson, Arizona. At five stories, the building is designed to anchor the east side of the hospital site and to provide supporting services to the hospital. The fi rst fl oor is a 19,000 square foot sterotactic radiography & imaging center. The program includes a varian linear accelerator, 2 MRI’s, a CT, PET CT & Planar X-Ray. Other specialties in the building include cardiology, pulmonology, neurosurgery, orthopaedics, OB/GYN, diabetes, urology; ear, nose, and throat; and general medicine. This entry was posted on June 20, 2013 by swaim_admin.